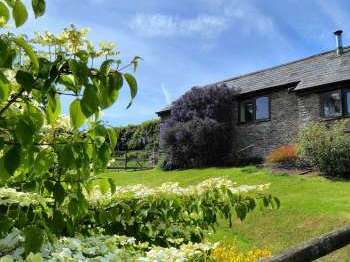 Many keen walkers choose to take self catering cottage breaks in this attractive part of England and enjoy exploring the national parks and marvelling at the scenery. These national parks are also popular with cyclists. Yorkshire also has an attractive coastline and the coastal resorts of Whitby, Scarborough, Bridlington and Filey are popular destinations. If you enjoy visiting beautiful towns and cities on a self catering holiday, again Yorkshire has lots to offer. Harrogate is an elegant spa town which is well worth a visit and York is a fascinating historical city. There is so much to see and many attractive places to visit on a self catering holiday in Yorkshire. Whatever the type of cottage holiday you are looking for, we hope you find self catering accommodation in Yorkshire that meets your needs on Country Cottages Online. If you have a pet dog to take on holiday do enjoy browsing through our pet friendly cottages in Yorkshire or if you are looking to take a romantic break why not browse for cottages with hot tubs or cottages with king size beds? Yorkshire certainly has lots of beautiful countryside to enjoy and lots of interesting places to visit on a cottage holiday. We trust that you will enjoy reading about Yorkshire and hope that you have a very enjoyable self catering stay. More information on Yorkshire and cottage breaks in this county is available in our Area Guide. Cottages and self-catering accommodation in the city of York welcoming weekend breaks bookings. Holiday cottages in Heartbeat Country, North Yorkshire Moors, self-catering holidays and short breaks in the north. Accommodation for pet friendly self catering holidays in the Yorkshire Dales where your dog will be welcome. Self-catering holiday accommodation for walkers in Yorkshire and the Dales including cottages, country houses, log cabins, pine lodges, apartments, and more.